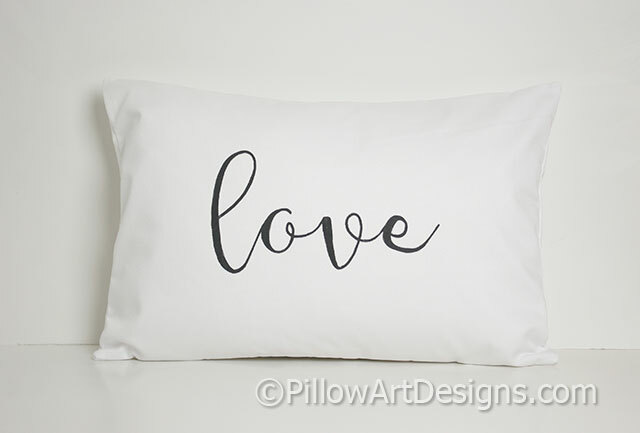 White cotton lumbar pillow cover, with polyester insert included, measures 12 X 18 inches. 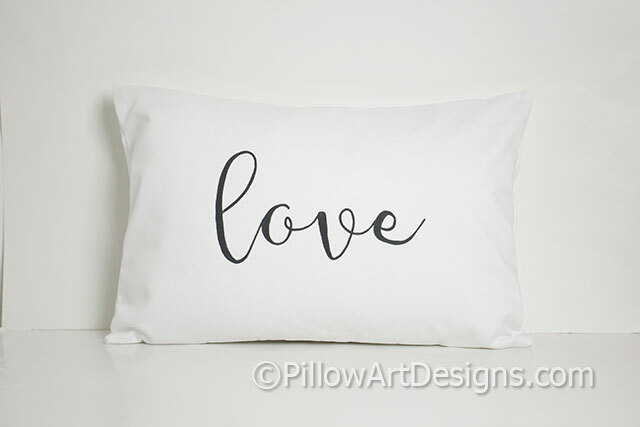 The word Love is painted in black cursive font on the front (other colours available, choose yours at checkout). Outer fabric white cotton polyester twill, fully lined with white cotton polyester. Non toxic fabric paint used, will not wash off, flake or rub off. Please allow me 5 business days to complete your order. Created in a smoke free and pet free environment.